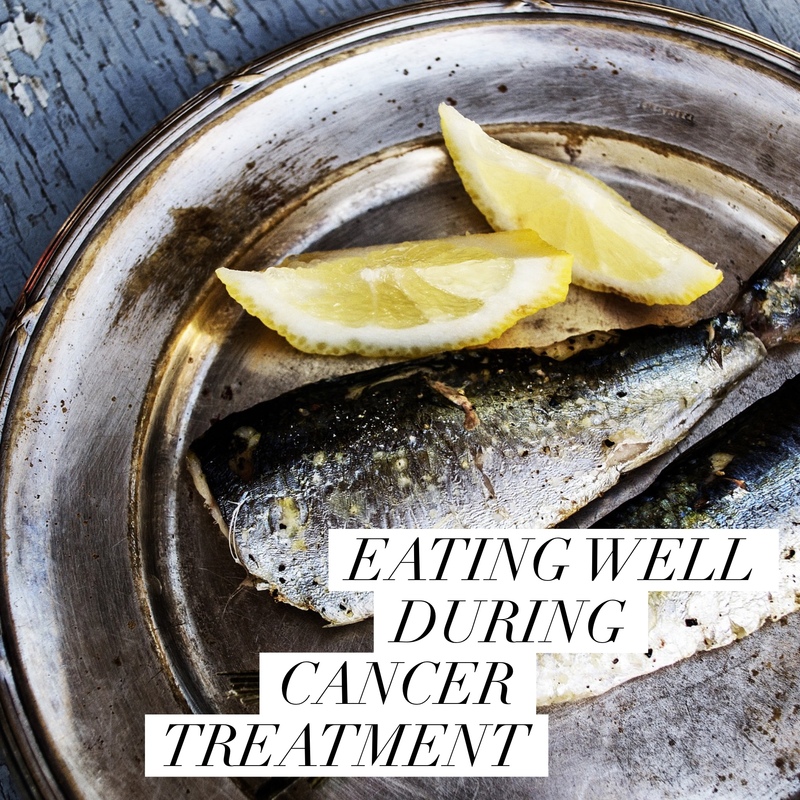 Mikki Williden is an amazingly knowledgable go-to person to provide some advice on eating well during cancer treatment (or indeed during any life event). 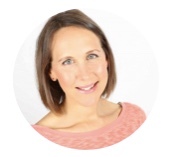 Mikki is a PhD registered Nutritionist, private nutrition consultant, blogger, author and a regular columnist in the NZ Herald’s Bite Magazine. Mikki holds a Bachelor of Science in Human Nutrition; a Bachelor of Physical Education; Masters of Science (Human Nutrition) and she has also obtained a PhD in health and productivity (impressive right!). She’s also currently a Research Associate at AUT University teaching public health and sport performance nutrition. There is no time more important for eating nutrient dense foods than during the treatment of and recovery from cancer. The illness, along with the treatment, can affect the ability to eat and how the body responds to food. Anorexia (loss of appetite) and cachexia (loss of weight and muscle mass) can occur, reducing emotional and physical resilience. Calories from minimally processed foods are essential to help form enzymes and hormones necessary to build and protect skeletal muscle tissue. Nausea can be tricky to negotiate. However, ginger or raw apple cider vinegar may help combat it. Try ginger root in hot or sparkling water with some raw apple cider vinegar and a touch of stevia for sweetness (find recipe here). I recommend a sweetener, such as stevia as, unlike sugar, it’s not going to affect blood sugar, energy and stress hormone levels. Manuka honey is another alternative, ideally consumed with a source of fat or protein (such as nuts) to help reduce the impact on blood sugar. Bread is an obvious go-to for people who require something to help settle the stomach. (Marmite on toast, anyone?). It’s no secret that this wouldn’t be my first recommendation, but a nut and seed-based loaf would be an excellent alternative that could be sliced and stored in the freezer. Roasted kumara slices (in the toaster – so easy! Find recipe here! ), potato and pumpkin pieces with salt, herbs and olive oil or coconut oil is another easy eating option. Flavonoids and phytochemicals in plant-based foods have anti-inflammatory and antioxidant properties, which help promote recovery and repair of cell tissue. Though we cannot definitively say, these are believed to be important for their anticarcinogenic properties. 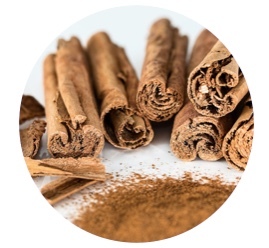 Regardless, it makes sense to include herbs and spices such as garlic, black cumin, cloves, cinnamon, thyme, allspices, bay leaves, mustard, rosemary and turmeric in cooked dishes, salads, smoothies and pesto or dips. Omega 3 fats, found in fish such as salmon, sardines and mackerel, are important — these anti-inflammatory fats help balance others that promote inflammation and cell damage. They may not be popular choices with teenagers, however, particularly for those struggling with appetite. Try making the fish into fritters (find recipe here) or including it on a homemade pizza with other toppings, herbs and spices such as those listed above to help mask the flavour if you’re not a fish fan. 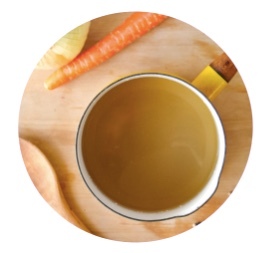 Bone broth contains many minerals and collagen which makes up 30 per cent of our body’s protein and building blocks and is used widely as a healing beverage. Bone Broths can be homemade (find recipe here) but also increasingly health food stores and even some cafes, sell it (like Essential Broth). Use it as the base for soups and add cooked protein such as chicken or fish, blended kumara or pumpkin and fresh herbs. The addition of fat (blended raw nuts, more butter or olive oil) can increase overall calorie intake when the body needs it but when appetite is low). Organic livers are available through butchers, from Farro Fresh or health food stores. Liver is high in the fat-soluble vitamins (A, D, K) and iron, zinc, folate and co Q10 (an antioxidant) but is a difficult sell. However, if blended to a pate or added to mince-based dishes (meatballs, bolognese sauce, meatloaf) no one need know that it is even there. If your goal is to provide the most nutritious food where possible, then this is an automatic inclusion. Smoothies are a great vehicle for nutrient-rich foods. A decent smoothie-maker will blend ingredients properly to ensure the end result is appetising. Greens, herbs and other vegetables can be blended (hidden) and nuts, avocado, coconut milk and coconut flakes are a good way to add fat (find recipe here). If these form the base, then add unsweetened cocoa powder to make it chocolatey and a small frozen banana or berries for fruit. Try making your own icecream. Blend frozen banana and coconut cream as a base for coconut, dark chocolate chips, chia seeds and peanut butter. If people crave “treat” food, pre-made bread and muffin mixes that are gluten-free, contain minimal ingredients and are less refined, can be handy (look for Wholefood House or Hunter Gatherer Gourmet). Like any occasional foods, these should not be the mainstay of anyone’s diet, but are better options than heavily processed and sugared alternatives. Families going through cancer often try to minimise all risk factors associated with the disease and may want to eat only organic produce to reduce exposure to pesticides. However, organic is more expensive than commercially grown and budgets may prohibit it. (Here’s some links to some great online organic stores: IE Produce, Ceres Organics, Wise Cicada, Huckleberry). If there is the option, the best produce to eat organically can be found on Dirty Dozen, a list of fruits and vegetables that contain the most pesticides. If buying organic is not an option, washing produce in a basin of water with a little added apple cider vinegar (leave to soak for 10 minutes) can remove a significant proportion of pesticide residue that standard washing does not. Importantly, it’s likely that it’s not possible to follow all of my recommendations for various reasons. It’s what you do typically that makes the difference, so if it all falls by the wayside and it is cheese on toast for dinner, do not despair. Food is about more than just nutrients, and meals should be pleasurable and enjoyed. The environment really affects our ability to heal, so trying to create relaxed mealtimes where family and loved ones can eat together is another key element to recovery. Try to use every meal/snack as an opportunity to nourish your body using the suggestions here where possible. 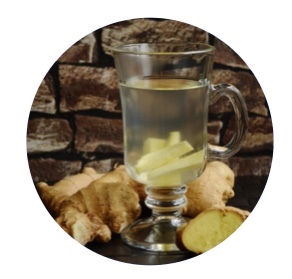 Combat nausea with ginger, raw apple cider vinegar or peppermint to help settle the stomach (find recipe here). When eating ‘occasional foods’, opt for baking or purchased treats that are made with quality ingredients that you recognise, with minimal added preservatives or additives (some great options here). Omega 3 fats, fermented foods, bone broth and organ meats are all nutrient-rich choices to include regularly in your day to day diet. A supportive, loving environment to help the healing process is as important as the food you eat. As a nutrition consultant Mikki Williden helps those looking to improve their lifestyle through healthy eating and living. Check out Mikki’s services and her free recipes at www.mikkiwilliden.com or if you Wanna Eat More Awesome – grab her e-book with 50 recipes that are easy to make and delicious right here! Not only is there no time more important for eating nutrient dense foods than during the treatment of and recovery from cancer, but there’s also no time more important than to ask for and accept help from your Support Crew. Asking for help can sometimes make you feel like a burden, even if you usually feel comfortable asking for help in normal circumstances. Don’t forget that people love to be able to help, particularly during difficult times. 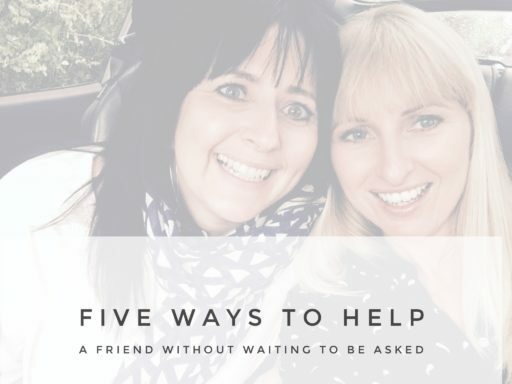 If anyone in your Support Crew is asking “what can I do to help?” then accepting their help with food/meals can be a great way to give them permission to help you! Mikki has provided some great recipes that you could ask your Support Crew to make or provide for you. With the Ginger Root Tea, Bone Broth and Fish Fritters recipes, someone in your Support Crew could make these in advance and drop them off to you. Alternatively, for the Roasted Kumara Slices and Smoothie recipe, someone in your Support Crew could shop for the ingredients and drop off for you to make later. For those Support Crew members that might not live near to you, or might be stretched for time to make food/meals, they could purchase meals or food/pantry items to be delivered directly to you. We know asking for and accepting help can be difficult. To ask for help, or to accept help can require a giant leap of faith on your behalf. You have to trust that as you take that leap of faith, your Support Crew will catch you, and they will.